We are fierce competitors always striving to improve our game. This is how we approach every job, with a dedication to hard work and an understanding that we should always be learning and improving from our experiences. We have been on the front-lines of some of the countries biggest natural disasters where we managed every stage of the recovery & reconstruction process. Our aggressive work ethic has helped us to earn the trust and respect of many well-recognized subcontractors including many of the north easts largest reconstruction contracting companies who rely on us when everything is on the line. Of course, our experienced professionals can only be as good as their equipment allows. We boast an impressive inventory of restoration equipment allowing us to be prepared to manage and mitigate multiple disasters at one time. We are proud of our team and will continue to build upon the hard work that has brought us so far already! We were out early on a Sunday morning visiting a commercial client for a monthly facility cleaning. This particular client requires we clean the premises outside of their regular business hours when they are closed and there are no employees in the building. Did you even know SERVPRO provides scheduled cleaning services? Most people are not aware of this service and assume we only handle disaster restoration clean-up after a flood, storm or fire. But our general cleaning services are second to none. 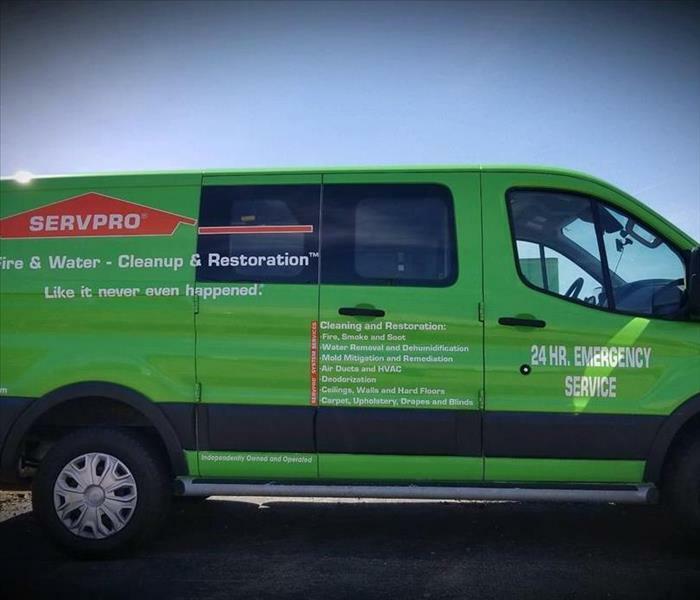 Our technicians are professionally trained and have access to a vast array of SERVPRO equipment, cleaning solutions and techniques. If your business is in need of a weekly, monthly, annually or even one-time cleaning services we can help! Our professionally trained cleaning technicians can handle any industry, such as commercial, industrial, service businesses, warehouses, government buildings and more. Schedule your cleaning today! Now that the winter is over it is likely you and your client's parking lots need to be cleaned and possibly repainted. We can help. We are your #1 call for any and all types of cleaning and repair and are on the scene shortly after of your call. If you need parking lot cleaning, repainting, repair, or lightbulb replacement contact our office now and we can send out a crew for a one-time cleaning and damage inspection or schedule regular clean-up inspection times to ensure your property always looks great. We make the process simple, SERVPRO of Washington County, offers one-stop shopping when it comes to property clean-up, maintenance, construction and restoration. Our team of highly skilled technicians, contractors, and craftsmen make us the #1 choice for large corporations looking for a full-time, fully-capable maintenance team that is available at a moments notice. Call us today! 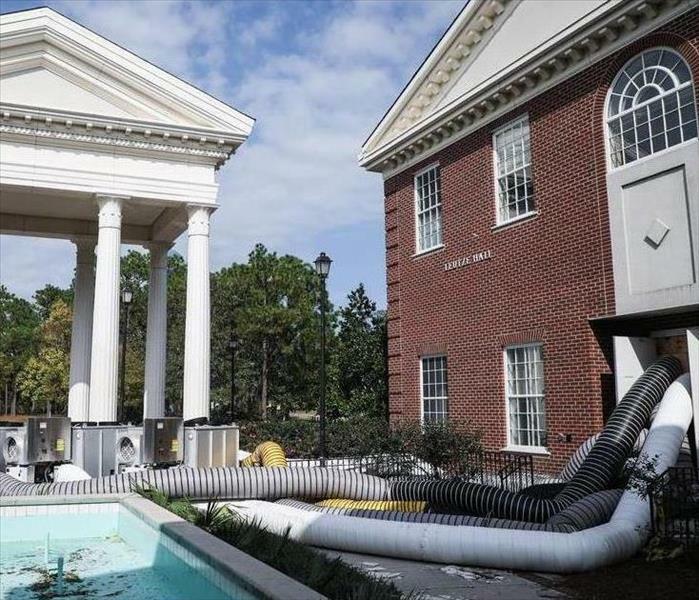 When your home or business is struck by a water damage event, such as a flood, burst pipe, or roof leak, you will see many restoration options in a google search. Here is why it is so important to carefully consider the company you choose to repair your property. 1. Evaluating exactly what can and cannot be saved in the property is crucial. This is where our experienced managers quickly determine the best course of action to save as much of the structure as possible. This first step can determine a huge chunk of your upfront costs for repair and materials for replacement. 2. Drying Equipment. 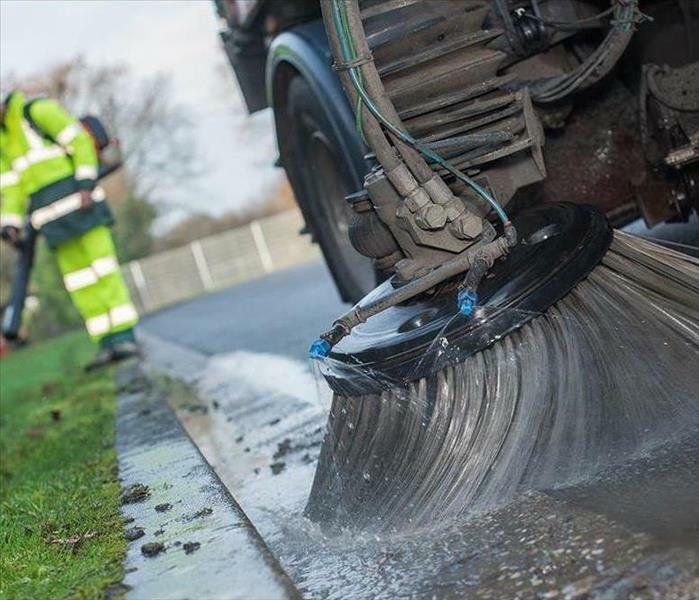 If the company you hire is not using the best drying and air scrubbing equipment available, chances are they will need to use that equipment on your property for a longer period of time, costing you more money. Our techs are trained to work and act efficiently and we invest in the best possible restoration equipment so everything we do is efficient. In the long run, this is the best possible way to save our client's money. 3. We offer all phases of restoration and reconstruction services. Again, as we strive to be an efficient company we employ a team of talented and experienced craftsmen and carpenters to remove the need to hire subcontractors on your project and to be 100% sure your job will be completed professionally. Christmas trees and holiday decorations account for millions of dollars in property damage every year. Please share these basic safety tips to ensure your family's well being this holiday season. Look for a fresh tree, these are less likely to catch fire. Vibrant green needles that do not fall off easily. The Frazier Fir is a great choice and has a softer needle that does not dry out as quickly. Remember to water your tree immediately after getting it home and in the stand. Continue to water the tree until it stops taking water. Keep your tree away from heat sources, candles and other electronics. All your Christmas lights should be UL or ETL/ITSNA tested for safety, and you should throw away damaged lights. Be sure to plug outdoor lights into a ground-fault circuit interrupter protected receptacle. Keep all your candles away from your Christmas tree, surrounding furniture and décor. If possible avoid candles all together especially this time of year when there tend to be more flammable items around the home. Don’t forget to turn your Christmas tree lights off each night. When your tree's needles begin to fall, it is time to take it down. Follow these guidelines and avoid being another statistic in the National Fire Protection Association or United States Fire Administration report this holiday season. Of course, if you do have an emergency contact us immediately along with the local emergency response departments needed. We will be there to help you get things back, "Like it never even happened". Is the ductwork in your building clean and ready for the winter months? As forced hot air systems are turned on all over the area for the cold winter months we are reminded that it is important to make sure the ductwork that supplies that warm air is clean. 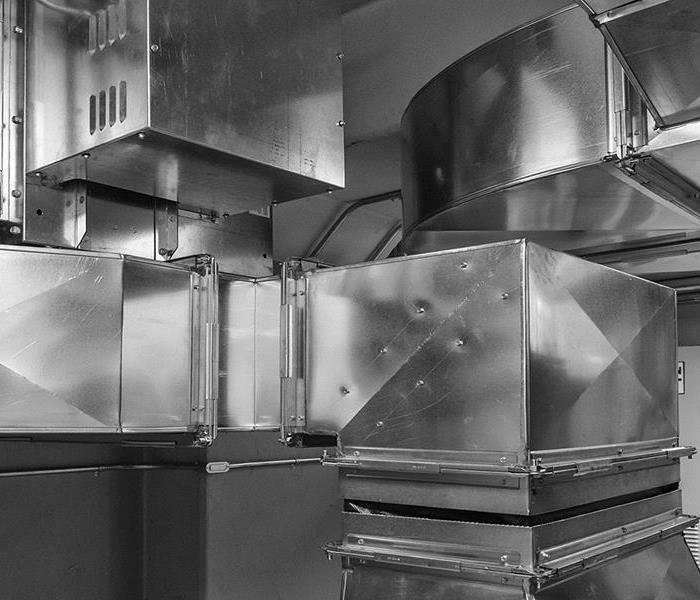 Clean ductwork makes for a healthier environment inside your home, office or business. Clean ductwork also makes your heating system more efficient and reduces your fuel costs. There are some factors that make cleaning your ductwork a necessity, one such factor is if you have recently had flooding, water damage or mold within your building. Mold in ductwork can lead to health issues for anyone within your building and regularly having your ducts cleaned is the easiest way to avoid this type of disaster. For a free evaluation and price quote call our office, (401) 315-2337. 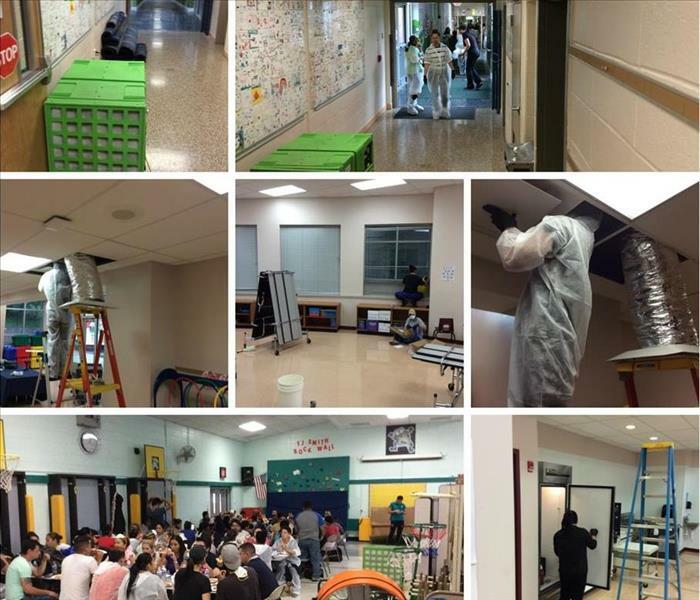 Recently we were called upon by a local school for an emergency cleaning. This wasn't our typical emergency, such as a flood, fire or storm damage, but instead was a job that needed to be completed quickly due to the start of the school year! When preparing to open for the 2018-2019 school year many teachers and faculty complained about a musky odor in the building. We were called in to test the quality of the air in the building and were able to detect impurities in the air, and with only 3 days to go until the start of school. Due to the expedited time schedule, we brought in dozens of techs and a management team that would teach and lead our techs to ensure the school was safe and ready for students on the first day. 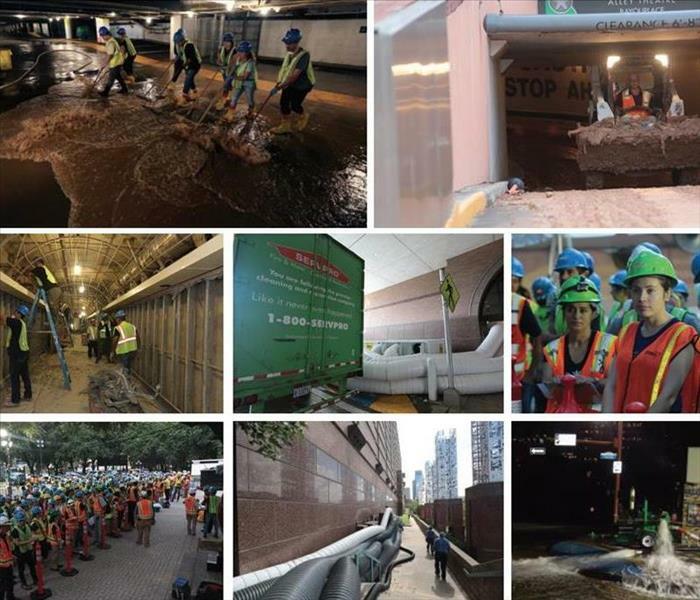 Heavy rains from Hurricane Florence and other weather systems have soaked the east coast of the United States over the last couple of weeks. Our team of Disaster Restoration techs have been working around the clock restoring and drying out homes and businesses up and down the eastern seaboard, but we're not done yet! In fact, we have only just begun what we consider to be one of our busiest times of the year. There are of course major events, like hurricanes, that when they occur require several teams of restoration experts to band together. And there is also the change of seasons that will bring with it the cold weather that will inevitably cause pipes to burst, ice dam and snowmelt flooding. 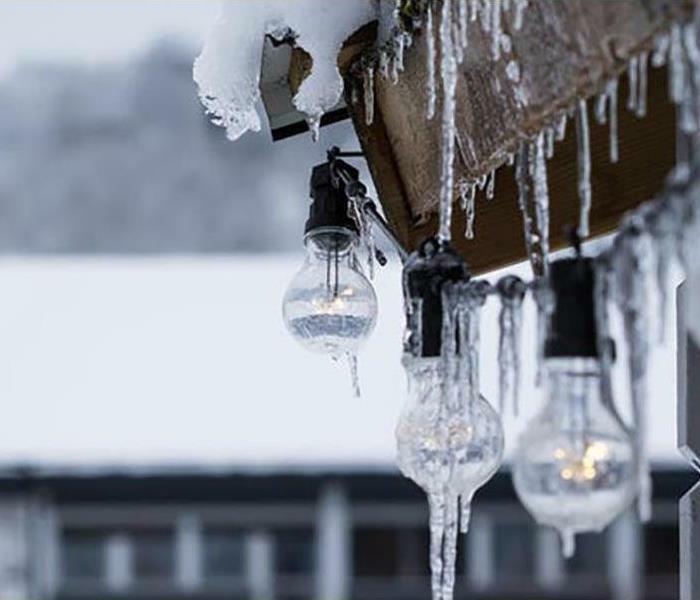 We recommend to all of our neighbors to take this time of year to prepare for the winter and other potential weather-related events that could cause damage to your property. Being prepared is the first step to a successful restoration. Recently we needed to pull resources from our multiple franchise locations to a fire & water restoration at a food distribution center. The partially damaged building needed to be restored quickly to prevent contamination and mold growth in areas of the warehouse that were not directly affected by the fire. In disaster restoration time is always crucial and we train our techs to work quickly and efficiently to ensure the environment is returned to normal ASAP! 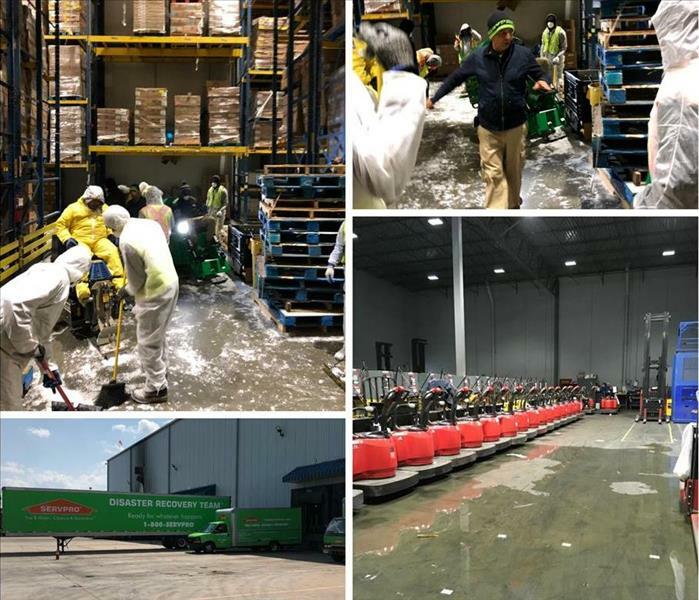 In this particular case, we knew there were hundreds of thousands of dollars in perishable products that were at risk to be damaged so we arrived on scene within hours and had equipment and techs on site shortly thereafter. We were able to clean and restore the facilities within 48 hours in time to re-open only 3 days after the fire damage occurred. 4/9/2019 - Schedule A Facility Cleaning Today! 11/1/2018 - We are here when you need us.